A debut season for Swiss side HC Davos who are coming off a playoff championship, they were drawing into Group E alongside Czech side Dynamo Pardubice and Swedish side Farjestad Karlstad who will both be looking for better seasons in the CHL after they fell at the first hurdle last time around. After three-straight quarterfinals exits in the Swiss NLA, HC Davos went all the way to the finals this year where they brushed aside ZSC Lions in 5 games, as well as making it to the semifinals of the Spengler Cup. 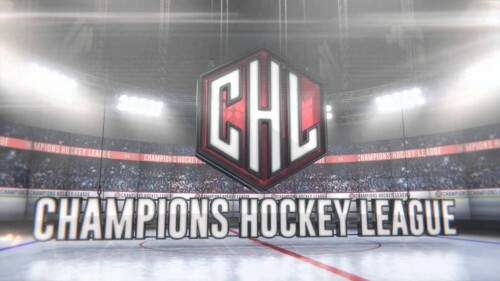 Now coming into the debut CHL season, the most storied franchise in Switzerland with a total of 31 NLA championships are looking to add more silverware to their cabinet, and take advantage of two teams who struggled in this competition last year. Davos will have the impressive Leonardo Genoni in between the pipes for them for another year, since he joined the side back in 2007, the 27-year old goaltender has three NLA championships, two Spengler Cups as well as numerous accolades, most recently being named to the 2014 Spengler Cup all-star team. Last season he featured in 49 regular season games where he posted a 2.45 GAA and his play improved in the post season where he posted a 1.79 GAA and an incredible .943% save percentage in 15 games. Last seasons top scorer Marcus Paulsson returns for a third year in Switzerland with Davos. The 31-year old from Sweden posted his second straight 35 point season since joining the side in 2013 from Group E rivals Farjestad. Davos could come out strong when the puck drops on their tournament with back to back away games before returning to the beautiful Valiant Arena to close out their group stage, hoping to secure a spot into the knockout rounds. Czech side Dynamo Pardubice had a poor debut campaign in the Champions Hockey League. They finished dead last in Group F with their only point coming from a shootout loss to Finnish side TPS Turku. Back in the Czech leagues it was more of the same, a 9th place finish was followed up by an early quarterfinals exit, Pardubice have a lot of ground to make up when their tournament gets underway this week. There’s a little familiarity between last seasons top scorer Petr Sykora and Group E opponents Davos. The 36-year old spent three years in Davos before moving to Pardubice in 2013, he’s coming off the back of a 44 point campaign, adding 2 points in 3 CHL appearances last year. Thirty-two year old goaltender Robert Kristian returns for his second year with the team, last year the Slovenian posted a 2.83 GAA and a .912% save percentage in 42 games, earning himself a one-year contract extension. Pardubice also have former Colorado Avalanche draft pick Brandon Maxwell signed who will push for starting duties, while Nashville Predators fifth round pick from this year Karel Vejmelka will look to impress if called upon. Theres some young talent on the roster, most notably 17-year old Ondrej Vala, a talented young defenseman who should be a mid to late round selection in this summers upcoming NHL Entry Draft, he could make his senior debut for the squad soon and will look to impress ahead of his draft year. Last season, Farjestard Karlstad were drawn into a very difficult Group B where they finished tied for second spot on 10 points with ZSC Lions but it wasn’t enough for either squad to advance to the knockout stages, now Farjestad face another tough test but have more of a chance of advancing with two knockout round spots up for grabs. It wasn’t much luck in the SHL for Farjestad either, a 7th place finish was followed up by a first round playoff exit, just a year after they had gone all the way to the finals. Coming into the tournament in a tough Group E, Farjestad will rely on two experienced goaltenders in Canadian Justin Pogge, the 29-year old is back for his second year with the team, while Norwegian Lars Haugen will compete for ice time after he signed a multi-year contract with the team after 4 years playing for KHL side Dynamo Minsk in Belarus. After a 40 point campaign, top scorer Milan Gulas returns for his second full season with the side after he joined them from KHL side Metallurg Magnitogorsk midway through the 2013-14 season. Thier second highest point scorer was Par Aslund who has since move on to play in Germany, while Toni Rajala has also moved on to SHL rivals Lulea. Farjestad did lose some fire power but have found capable replacements . Former Leksands captain John Ryno has joined the squad while American Robbie Earl joins after a 45 point year for Swiss side EV Zug. With an average age of just south of 26, Farjestad have some young Swedish talent in their lineup. Defenseman Oliver Kylington won’t be part of the team after the Calgary Flames second round pick this year will test himself in North America, but Joel Eriksson Ek who was the Minnesota Wild’s first round selection this year has remained at the club, while Ottawa Senators prospect Mikael Wikstrund joins the team, the defenseman was a 7th round selection by the Sens in 2012. Scouts eyes will be on 17-year old forward Rasmus Asplund who’s looking likely to be a mid to late first rounder ahead of this summers draft.